Despite what its (rumored) name may suggest, the Galaxy S10 Lite is shaping up to be a pretty impressive smartphone on the inside thanks to its high-end hardware and feature-rich spec sheet. But as suggested by a new case render, the device’s design won’t disappoint either. Falling in line with previous reports, the Galaxy S10 Lite is showcased with an entirely flat AMOLED display that features a circular display hole in the top-right corner. Contrary to the previous concept renders, though, the bezels aren’t totally uniform. Instead, the device sports very thin side and upper bezels that are accompanied by a slightly thicker chin down below. Aside from the front panel design, the case also points towards the presence of two volume keys along the left side of the frame. These will presumably be accompanied by a dedicated Bixby button and a power key, although they aren’t visible in this image. Nevertheless, two things that can clearly be seen are the USB Type-C port and 3.5mm headphone jack. On one final note, the render in question shows the smartphone sitting on top of a wireless charger. 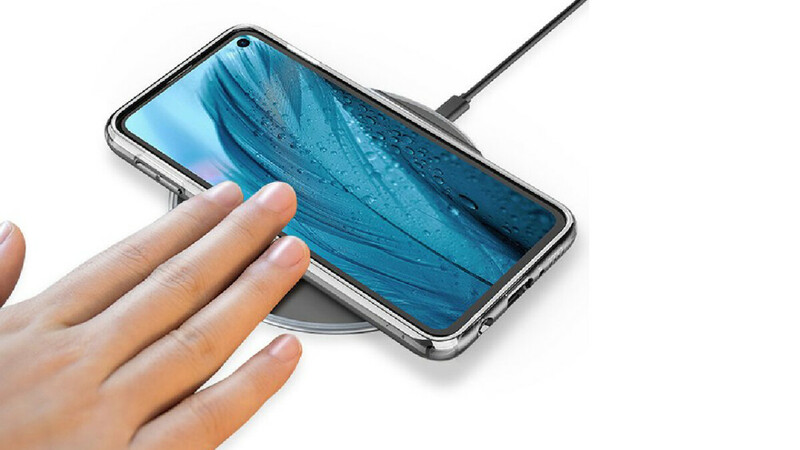 This suggests that despite its smaller size and lower price, Samsung’s cheapest 2019 flagship model will retain the popular wireless charging feature which has been present in Galaxy devices for a number of years now. The Galaxy S10 Lite is expected to go official on February 20 alongside the Galaxy S10 and Galaxy S10+. Sales of the three models are rumored to commence in early March. Eventually, though, they will be accompanied by a 5G Galaxy S10+ and possibly a fifth model sold with 5G support exclusively through Verizon. Seems like the s10 lite will be the best one overall, much cheaper due to not packing extra gimmicky features, a flat display is enough (actually better) and who needs a fps under the display? Also no need for rear 3 cameras and 2 front facing cameras, the only real disadvantage it may have is a worse battery life. Currently Samsung doesn't even reserve AMOLED for flagships. I'm pretty sure the S10 Lite, if it exists, would have at least a 1080p AMOLED display. The XR’s lcd is visually sharper than a 1080p OLED, even though lower res on paper. OLEds need much higher ppi to be as sharp as an lcd. The XR has a lower resolution LCD screen than my 2014 iPhone 6 Plus. Why is that? Except if it's start at $749.. While S10 and S10 start at $849 and $949..
why is the power key placed so high in this render? or it's not a final render yet? People really hate curved stupid displays.